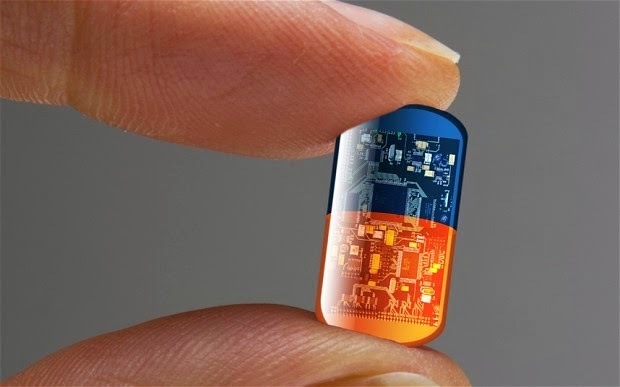 Bill Gates Foundation Announces Population Control Microchip! He was a seemingly nice guy in the first half of his life. An average American who made his fortune by selling hardware and software worth of billions, becoming an worldwide icon and a living example of the American Dream. But in the second half of his life, he teamed up with the world’s “elite” in an attempt to reduce the world’s population by billions… and he meant business! He soon became one of the most infamous depopulation activist, lecturing on genocidal vaccines, conducting vaccination campaigns that crippled and killed countless people in the third world countries, designing GMO mosquitoes that could carry and inject deadly viruses, and he’s constantly finding new methods of achieving his sick plans. I am, of course, talking about Bill Gates, the man who recently pushed the population control agenda one step further: he announced the development of a remote-controlled contraceptive microchip, which can be implanted under the skin and last up to 16 years. After the microchip is implanted, it will start to release a daily dose of levonorgestral, which is a hormone used to prevent pregnancy. According to the Gate’s Foundation, a woman can choose when to deactivate (or reactivate) the chip using a wireless control, but considering the dark past of Bill Gates’ involvement in depopulation, we would be crazy to trust them! I CAN’T BELIEVE MY EARS, I CAN’T BELIEVE HE SAYS THIS! “NEW VACCINES, HEALTHCARE, & REPRODUCTIVE HEALTH SERVICES” He is talking about depopulation using these services! The remote-contraception thing may sound fancy and cool at first, until you realize that the microchip can easily be implanted under the skin of millions without their knowledge and consent, and used as a population control tool.It’s not like it didn’t happened before. Now, please try to imagine what the “elite” can and will do with this kind of technology. The drastic reduction of Earth’s population is one of their open agendas, as I have presented to you more than once. MIT stated the implant would have to be encrypted to protect wireless data flow and keep it secure. The chip’s size is 20mm x 20mm x 7mm and reservoirs of the hormone are stored on a 1.5cm-wide microchip within the device. The birth control microchip would hold nearly two decades worth of a hormone commonly used in contraceptives and dispense 30 micrograms a day, according to a report from the MIT Technology Review. – Ref. The idea sprouted after a visit Bill made to the Massachusetts Institute of Technology (MIT) two years prior, where he asked professor Robert Langer if there was any way to turn birth control on and off via remote control. This would spare women the trouble of visiting the clinic to have contraceptive implants removed when they wanted to become pregnant. Langer connected the Gate’s Foundation with MicroCHIPS, a Massachusetts firm licensed to use a controlled-release microchip technology. Since then, the partnership has been busy developing the technology which could see a release as early as 2018. – Ref. Based on the fact that unsuspecting people had been secretly microchipped in the past, it is my strong belief that this microchip has already been implanted under the skin of numerous people, without their knowledge. If these microchips are capable of holding the necessary amount of hormones for almost two decades, isn’t it logical to assume that they can be used for other purposes as well? Like, for example, drugging the Earth’s population into submission. I’ll let that sink in. Sample a FREE Nutrition Class with the World’s Largest Nutrition School! http://www.OrganicSolutions1.com = (IBO# 9630671) detox parasites with organic iaso tea, you’re gonna love it and you will find yourself talking about,… www.teamngd.com watch the 1st video and keep in mind as you watch, “Who do you know that wants to lose 5 lbs in 5 days? & “Who do you know that wants to get paid while losing weight and the more weight you lose the more money you will make? Because results sell! http://www.facebook.com/resonatinghealthkathrynmancarella = plz like me!